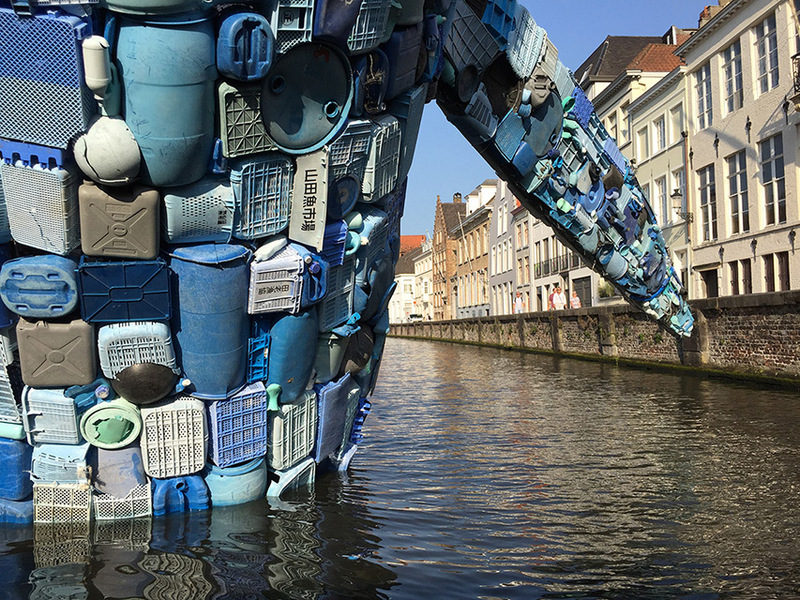 Scientists estimate that about 150 million tons of plastic waste are swimming in our oceans right now, and from five to thirteen million tons are added every year. 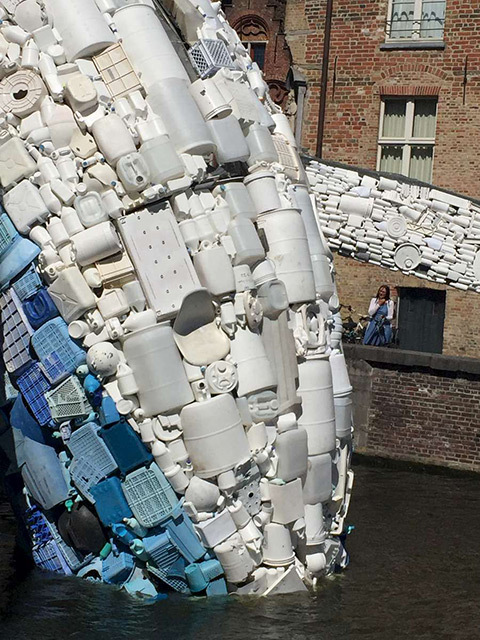 Experiments showed that this plastic is harmful to aquatic animals, but this is a serious problem for people too. 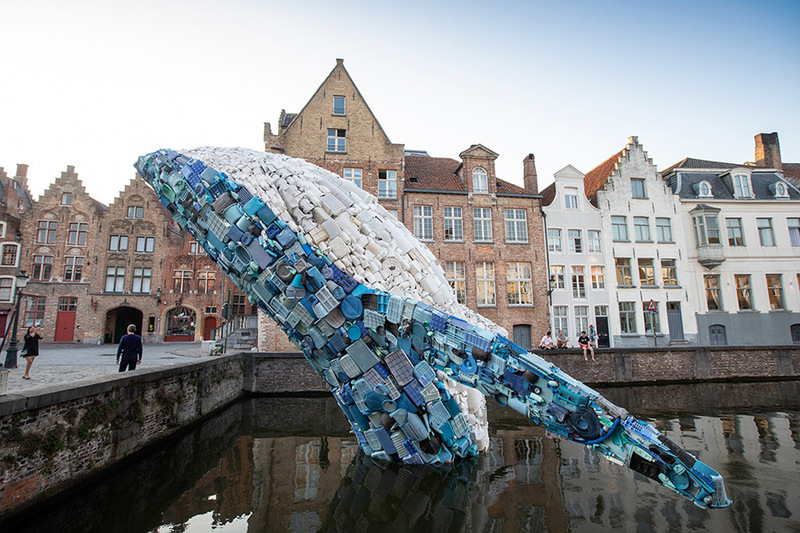 Researchers find tiny pieces of plastic into entrails of aquatic animals, including those species that we use for food production. 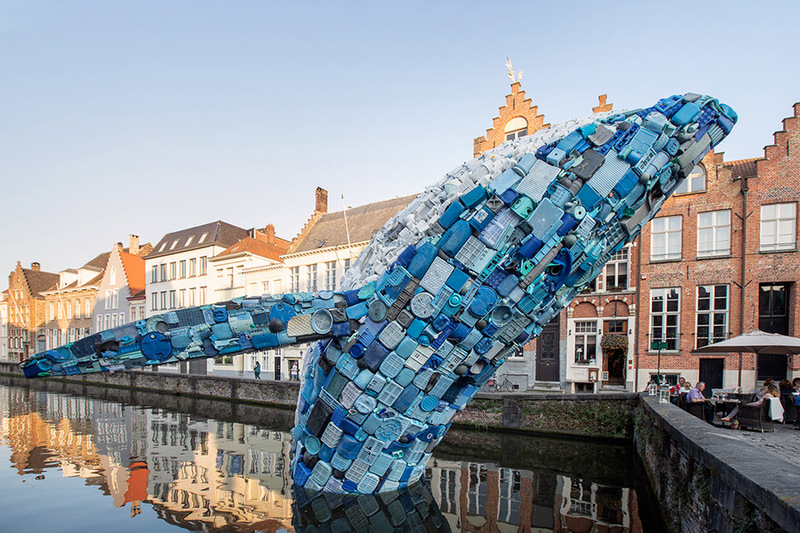 Trying to draw attention to this problem, Jason Klimoski and Lesley Chang from StudioKCA turned five tons of plastic waste from the Pacific Ocean into a large-scale whale sculpture titled Skyscraper. 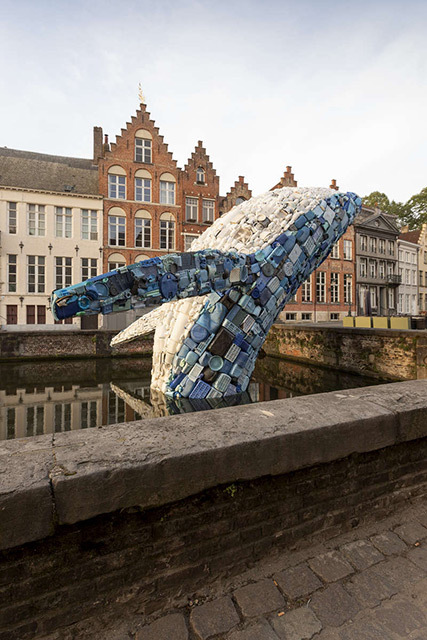 The sculpture was created for the 2018 Bruges Triennial. 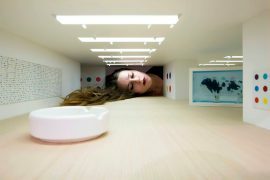 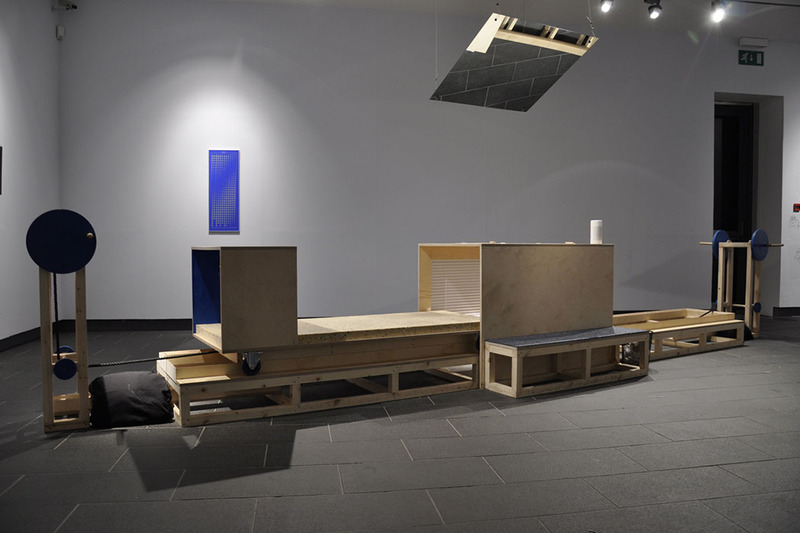 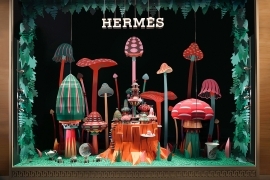 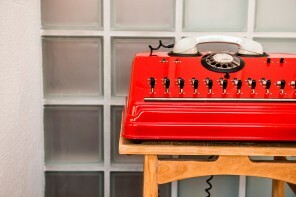 The organizers approached Klimoski and Chang and asked them to propose an art piece interpreting the idea of the liquid city, a concept that defines the city as an ever-changing set of consumer transactions, whose identity is in flux as cities grow more and more connected through globalization. 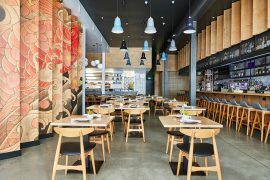 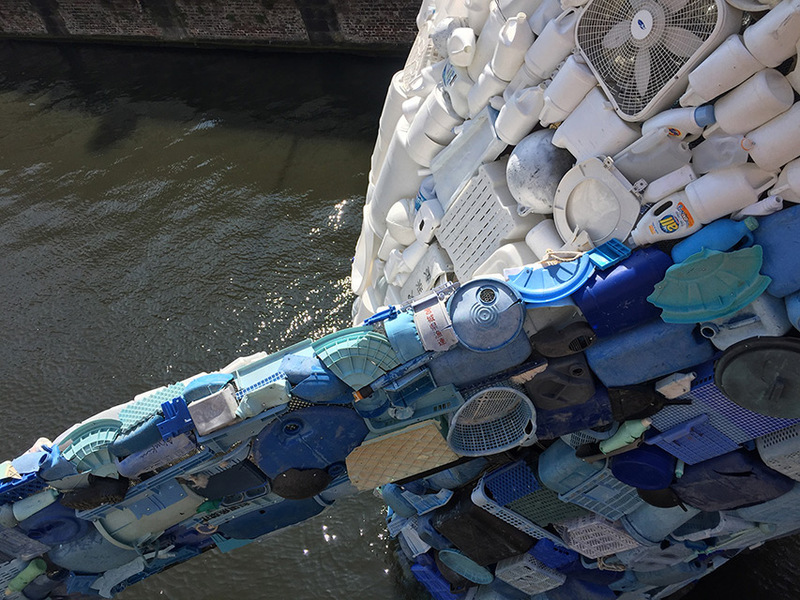 Their first thought was about the ocean as the biggest liquid city on the Earth, how it connects us all, and how the plastic waste produced and consumed in our cities ends up in the ocean. 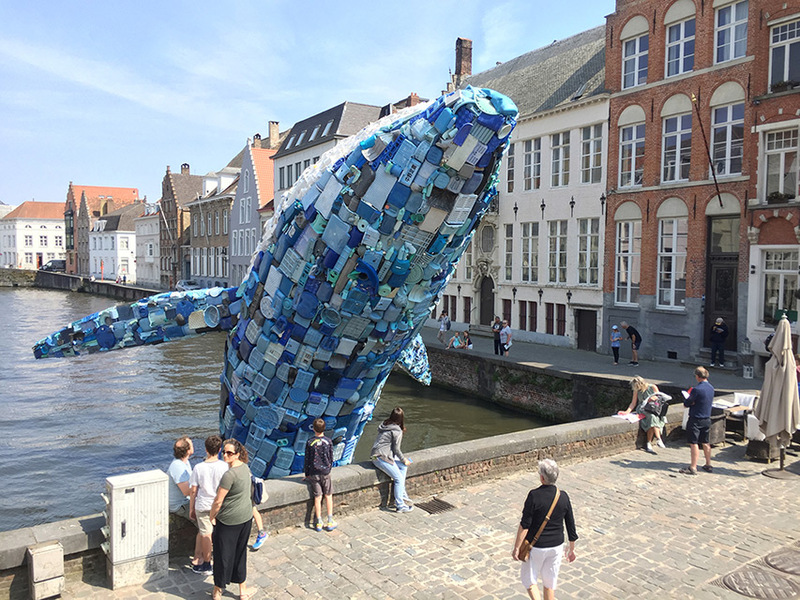 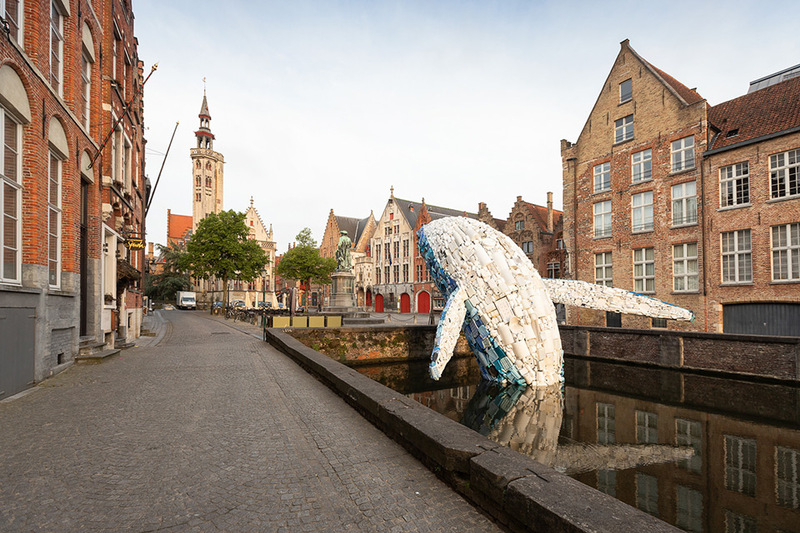 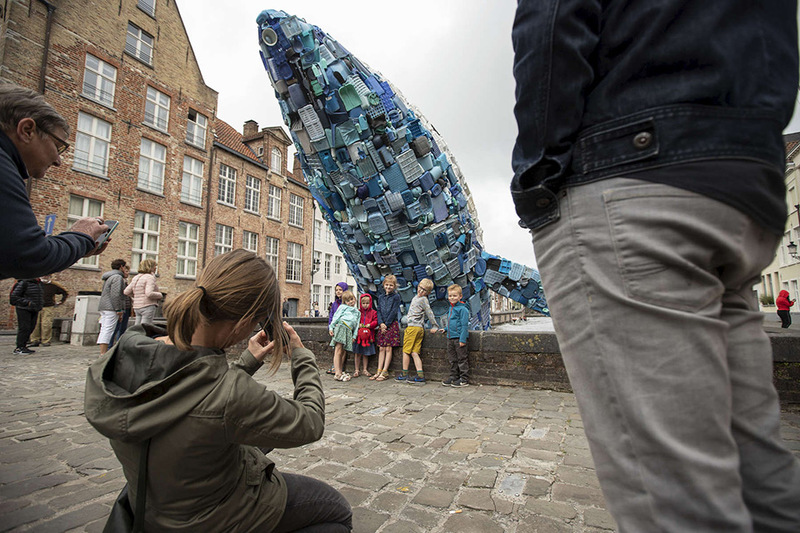 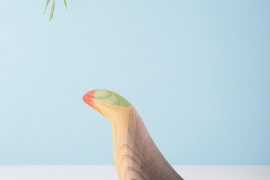 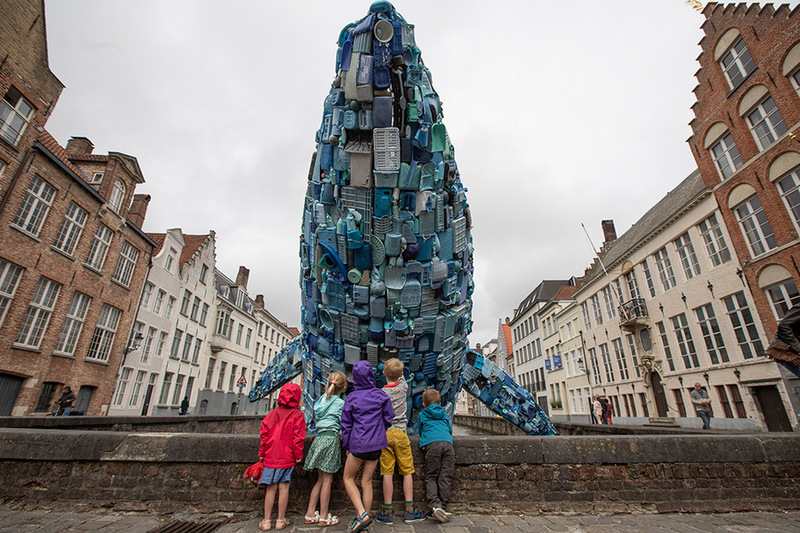 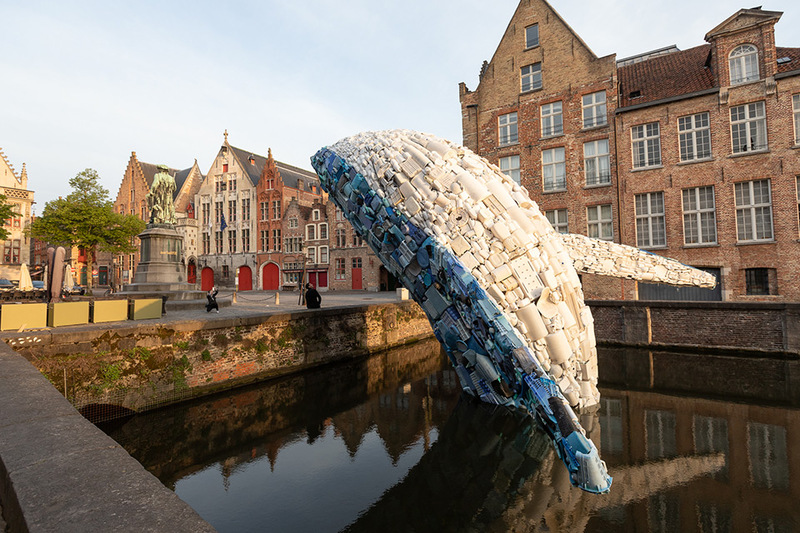 The duo proposed collecting as much plastic waste out of the oceans that they could in four months, and shaping that waste into an almost four-story-tall whale pushing out of one of Bruges’ main canals, and arching over historic Jan Van Eyck Square at the city’s center.